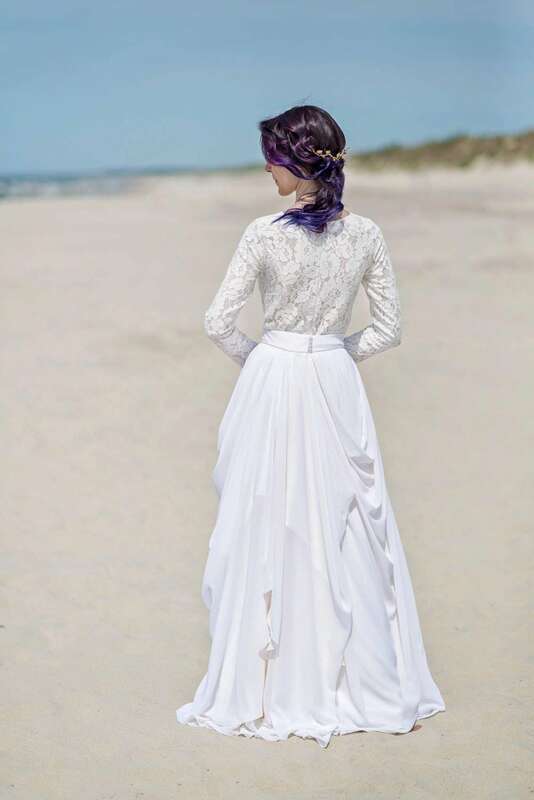 "Eirene" is a modest, simple, long sleeve wedding dress, comprised of two pieces - long sleeve lace top that resembles a soft thin sweater, and an incredibly flowy, amazing in any kind of motion - bridal skirt. The primary color of the dress pictured is ivory. 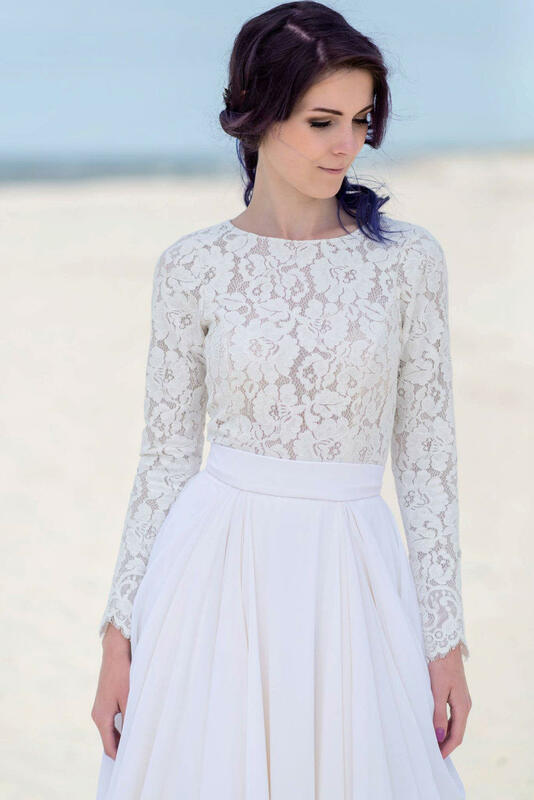 The top lace by default comes in ivory and thus this dress is not available in pure white, but anything darker than ivory is absolutely an option (we hand dye our materials). 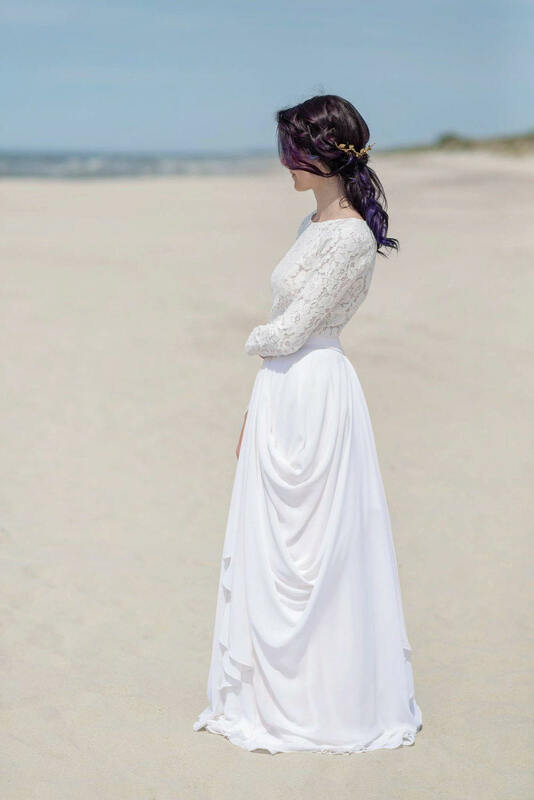 The skirt can be offered in pure white or any other bridal shade. This dress is perfect for winter or autumn brides.